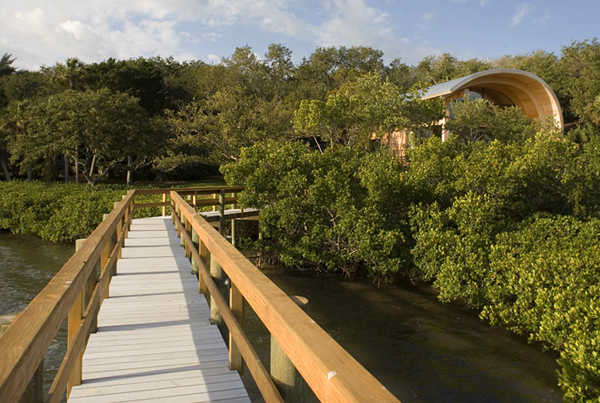 Casey Key Guest House, located on a barrier island, is set within a mature oak hammock along Sarasota Bay. 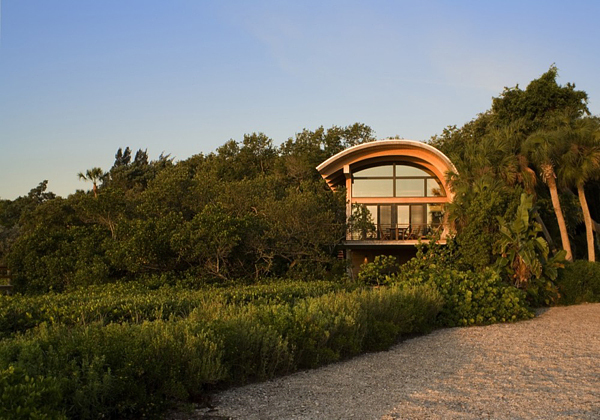 The wooden guest house created by TOTeMS Architecture is located in a highly regulated FEMA flood zone requiring elevated floor levels. 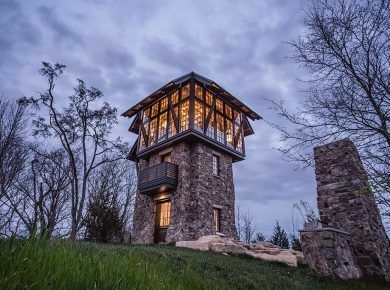 To preserve the health of the oak hammock, the house is supported on a specialized steel piling foundation system designed to avoid root disturbance and minimize sub grade impacts to the oaks. 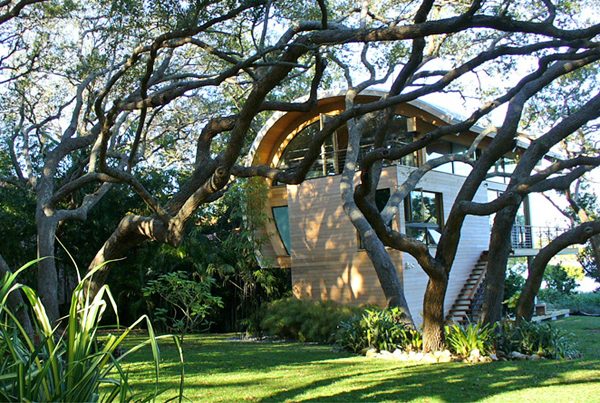 As a result, all existing trees were preserved. 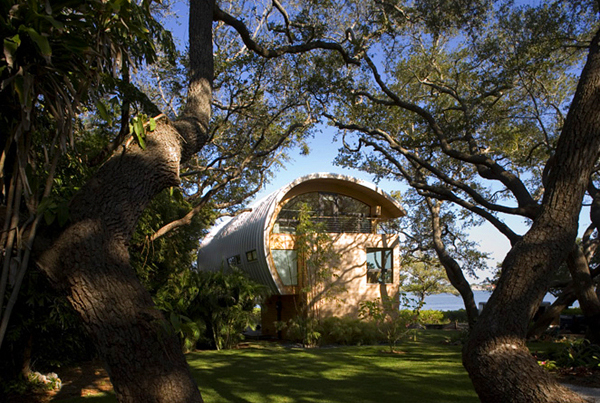 According to the architects’ description, “the owner requested a “house in the trees.” A small program, including one bedroom, bath, living area with kitchenette, and a loft, is organized to provide privacy between a neighboring property to the north, while offering broad views of the oak hammock, and Intercoastal Waterway. 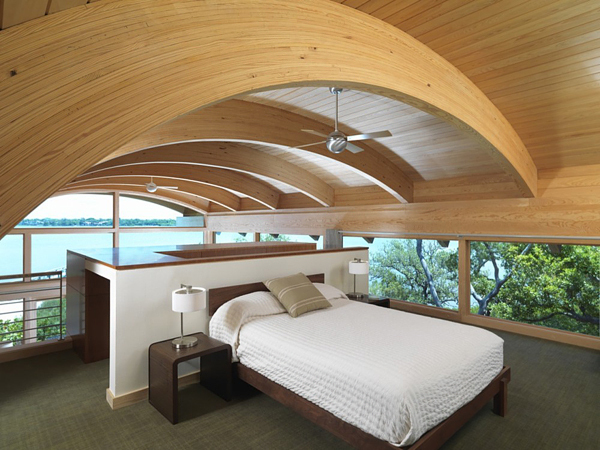 Glulam beams were selected for their ability to enfold the structure around the space. 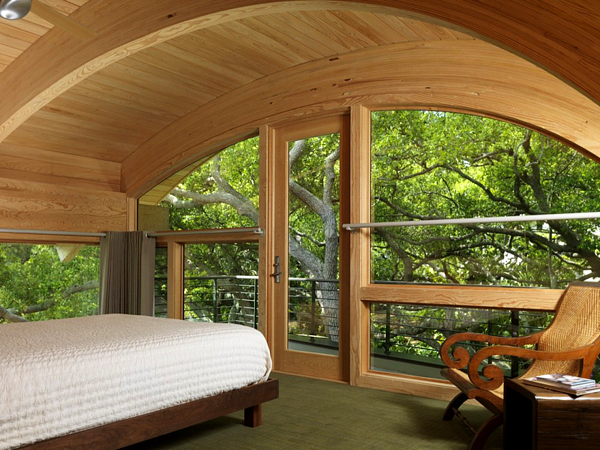 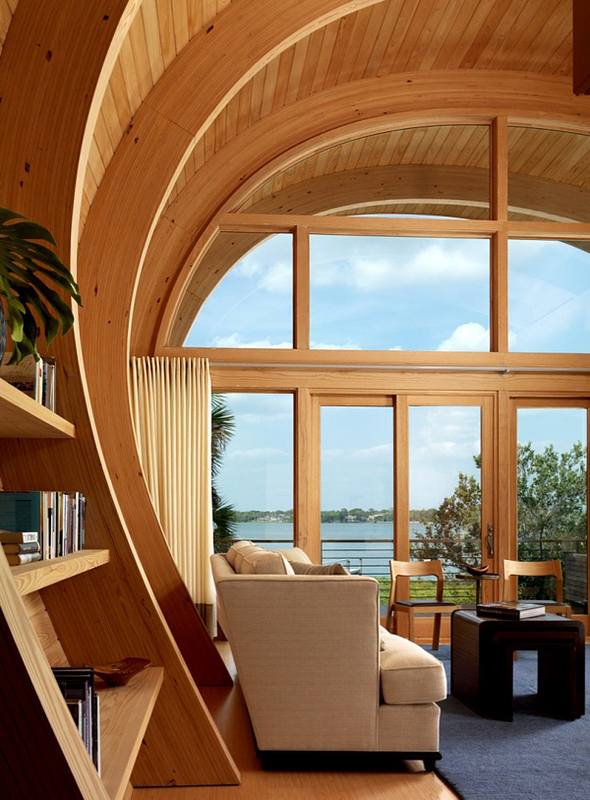 The laminated pine beams, which curve over the entire space, blur the distinction between wall and roof. 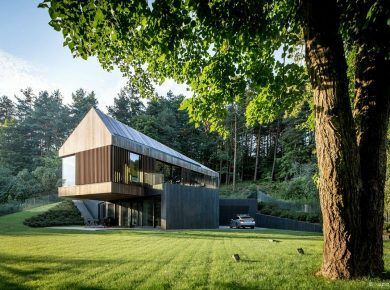 The result is an open structure to the east and west, yet solid and private to the north. 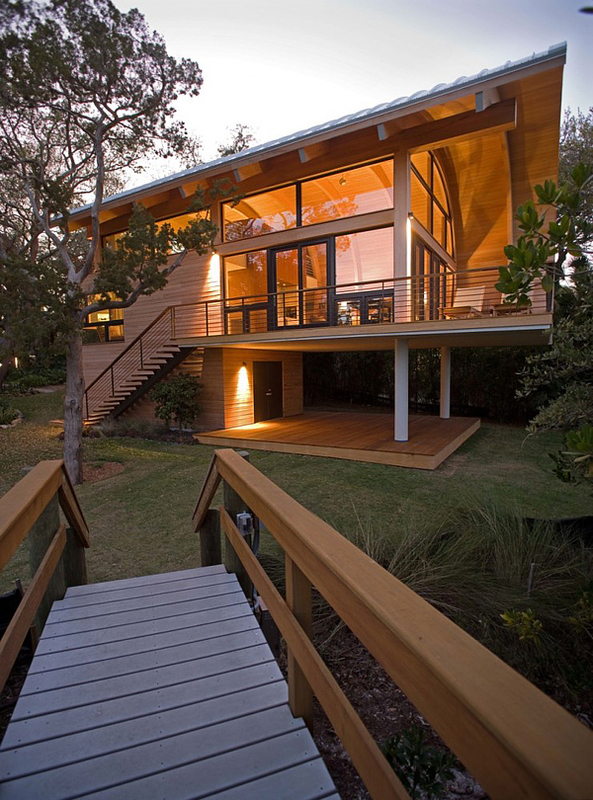 The ground floor includes a small storage room for kayaks, and a covered deck. 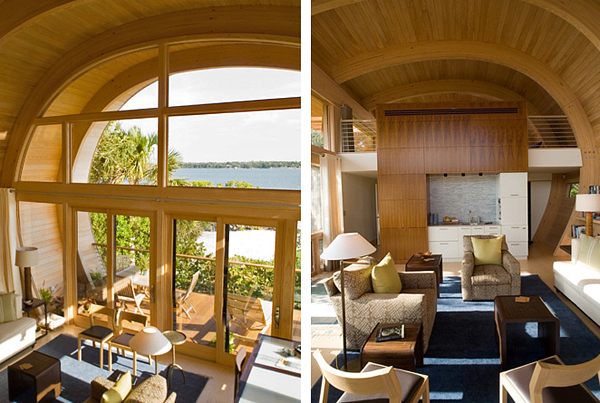 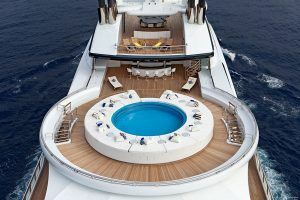 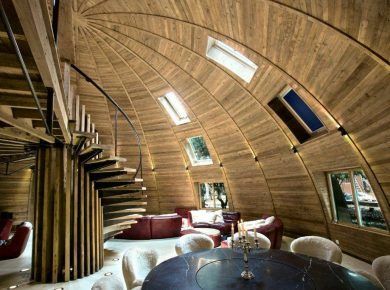 The loft interior, defined primarily by the curved beams, alludes to the aquatic bay environment, and wooden boat hull construction. 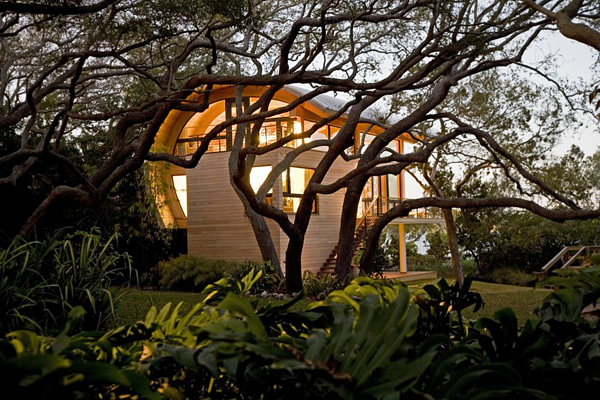 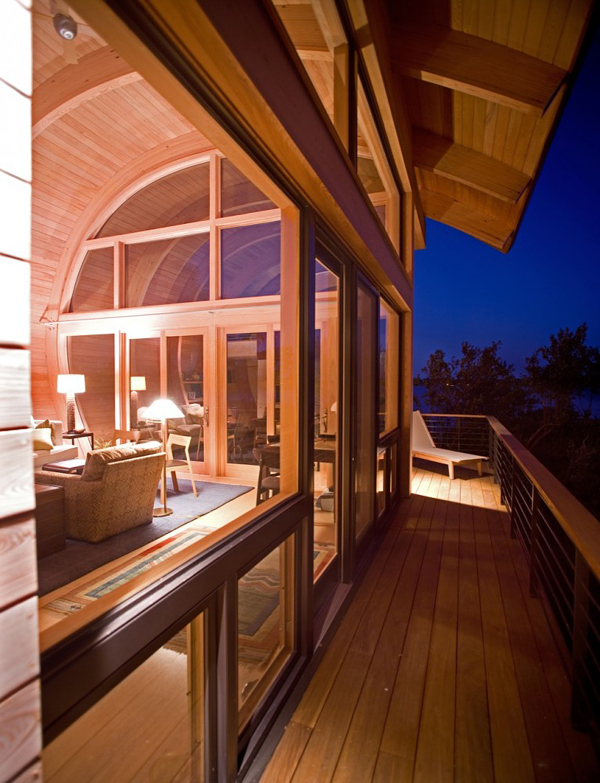 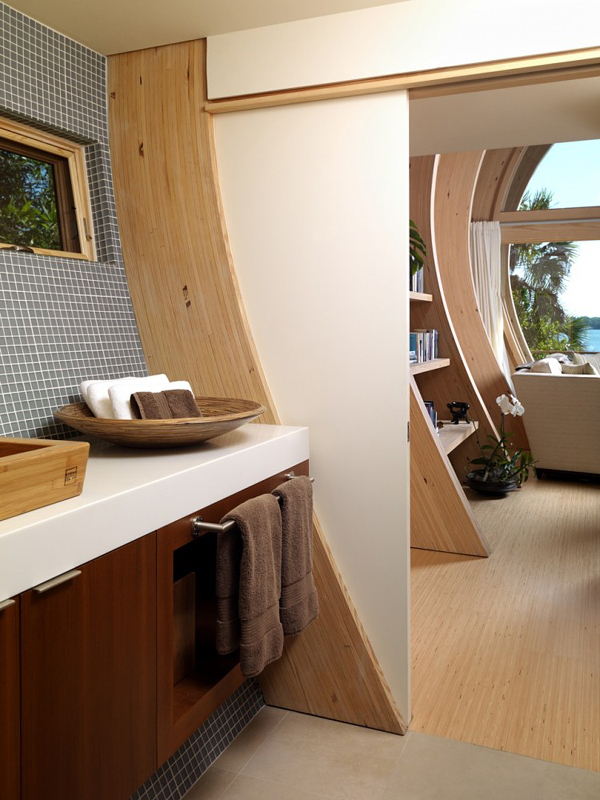 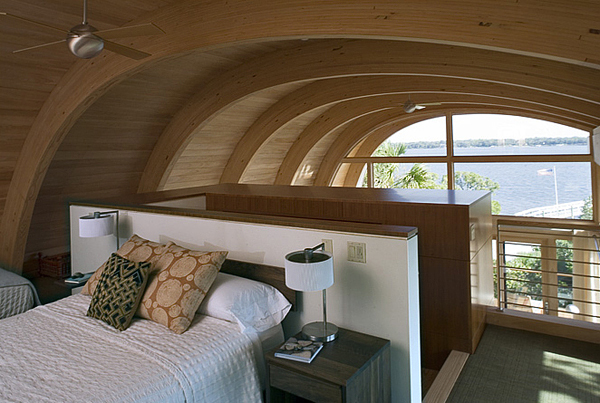 Ship lap cypress siding is used to clad the exterior walls and interior curved wall.” Take a look! 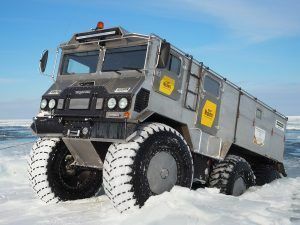 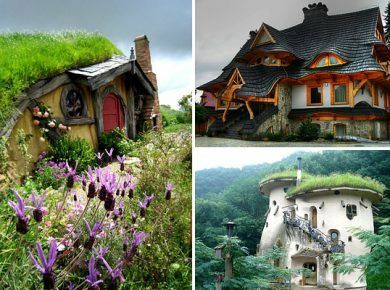 If there ever will be snow.. everyone in that house will freeze for sure!